Fruita, which won this category last year, too, is no secret: Nearly 600,000 people visit Colorado National Monument each year and the epic built-for-and-by-mountain-bikers singletrack draws the fat-tire faithful here all year long. As it has drawn more and more funhogs, the once sleepy town keeps evolving. Start by heading to one of the town’s guide operations or local shops. Rim Rock Adventures , located right on the Colorado River, offers up guides and rentals for rafting, stand-up paddle boarding and kayaking. Looking to spin your wheels? Colorado Backcountry Biker provides repairs and local beta, and runs unique hut-to-hut trips that provide scenic cross-country rides that end up in a cozy cabin. Over the Edge Sports , which has been an institution here for over two decades is a hub for everything mountain bike and hosts the Fruita Fat Tire Festival and 18 Hours of Fruita each year. Want more? Hike to Rattlesnake Arches via Pollock Bench. Or head to the Dinosaur Journey Museum, where you can even get out on active dinosaur digs in the summer. It’s hard not to end up headed for New-freaking-Jersey-style pizza at the Hot Tomato Cafe (hottomatocafe.com), run by cyclists Jen Zeuner and Anne Keller. Thirsty? Kannah Creek Brewery West (kannahcreekbrewingco.com/kannah-west) just opened in Fruita. Jen and Anne from the above mentioned Hot Tomato opened their second business Bestslope Coffee (bestslopecoffeeco.com). It’s part of a whole new community of businesses they plan to open with the purchase of more land. A lot will be new in Fruita in the coming year. Last month, work began on 6.5 miles of new singletrack in the Kokopelli Trail system, and a big, new trail will extend the Edge Loop Trail and connect to the east end of the Sarlacc Trail. A 4.5-mile paved trail with adjacent singletrack will also connect the town of Fruita to the Kokopelli Trailhead. Durango has it all: It’s surrounded by the San Juans’ fourteeners, wilderness and singletrack. 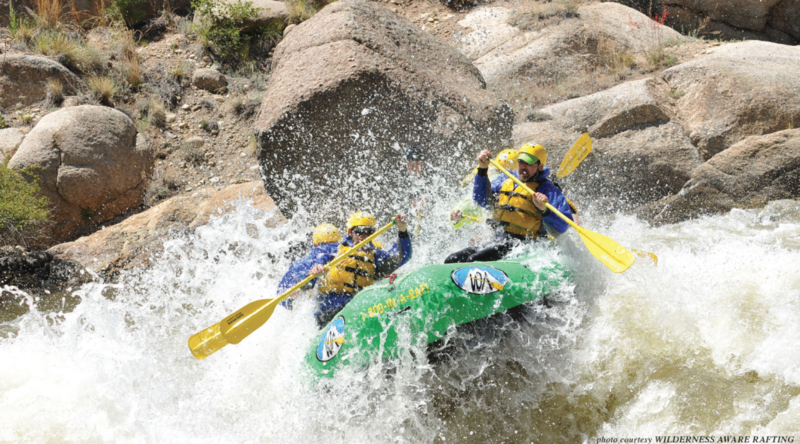 It’s blessed with the whitewater of the Animas running through town. Powder turns at Purgatory and Silverton are just up the road. Add in craft-beer and you have a classic Colorado community. A whopping 83 percent of the land surrounding Buena Vista is public, so there’s no shortage of places to play. 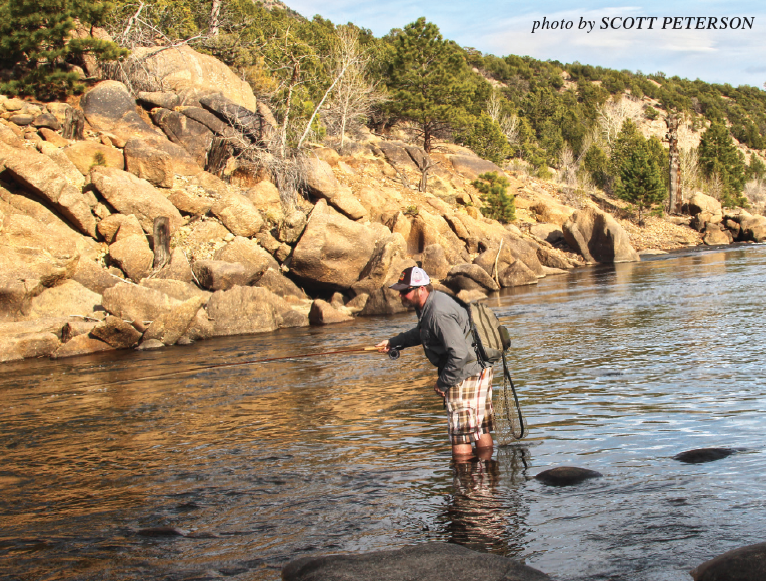 The new Browns Canyon National Monument is a big draw for boaters. In town, Buena Vista has built new bike trails, a disc golf course, a new skateboard park, a boulder climbing park and the town is constantly tweaking the river kayak holes on the east edge of town. Saunter into Deerhammer Distillery and order a High Roller (a specialty cocktail made with white whiskey, pineapple juice, coconut and almond). You’ll find some of the best food in town on East Main at Simple Eatery (spoon-it-up.com)—don’t miss the fresh-baked Bavarian pretzel bread. There’s no better place for relaxation than Mount Princeton Hot Springs Resort. Soak in the pools or dip in the natural springs right in the waters of Chalk Creek. The roomy, clean cabins (soaking and spa privileges included) here make for the perfect family/friends retreat. If you are looking for fun at night, hit The Lariat at 206 E Main (thelariatbv.com), where you’ll find live music. Brown Dog Coffee roasts their own coffee. And, on a summer night, head to Comanche Drive In Theater. It’s one of just a precious few remaining drive-ins left in the state. If you really want to sound like a local, pronounce the town name correctly. It’s not from Spanish, but from settler Alsina Dearheimer who suggested the name for the town and said it should be pronounced ‘bew,’ as in beautiful. You can still prospect here: Some of the best aquamarine specimens in the U.S. come from the heights of nearby 14,275-foot Mount Antero . Just make sure you are not claim jumping. Don’t think it’s all fast food and outlet stores. Well, they are here, but Silverthorne is a sneaky place to play, too. Show up early and you can catch trout right in front of the outlets, and, when spring hits, there are few better, and easier-accessed corn skis in the state than 12,777-foot Buffalo Peak. The floods of 2013 absolutely devastated Lyons, but the town has experienced an amazing rebound thanks to the resilience of the locals who have doubled down on its ideal location for outdoor adventure. Situated where the forks of the St. Vrain come rushing out of the Front Range, the town is also the home of festival heavy-hitter Planet Bluegrass, of Telluride Bluegrass fame, which produces Rockygrass and Folks Fest on its Lyons grounds every summer and where the main stage miraculously survived the 2013 disaster. Lyons is a magnet for small, funky, independent business, too, and it’s amazing that a town of just 1,800 residents can house so many spots that complement outdoor adventure. On September 9, 2016, (almost three years to the day after the flood), LaVern M. Johnson Park (previously Meadow Park) opened back up. 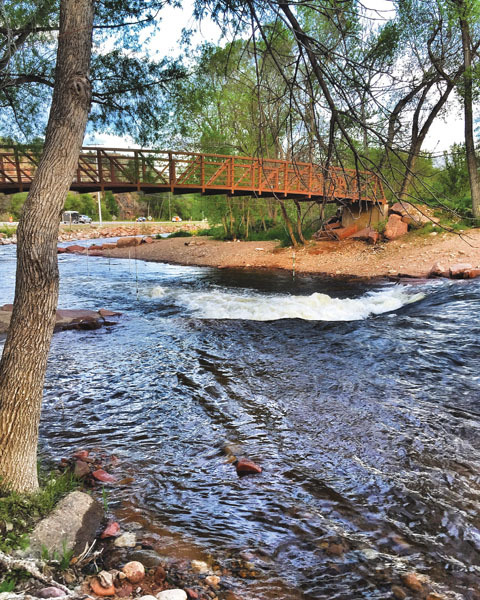 The grounds are the home of the reconstructed Lyons Whitewater Park , which features eight whitewater structures on a quarter-mile stretch of the North St. Vrain River. It’s a state-of-the-art location for kayaking, SUP, tubing and fishing. Builders S2O Design also made it a model for increased flood resiliency and sustainable aquatic habitat. There’s good reason why hordes of Harleys, tourists and fun-seekers descend on Lyons. The gateway to Rocky Mountain National Park is the original home of the brewery that began the craft-beer-in-a-can phenomenon, Oskar Blues , where the Dale’s Pale Ale flows like water—what’s more the BBQ-and-beer joint is also the force behind Reeb Cycles . The legendary brewery features live music as well as special small and impromptu shows during Planet Bluegrass festivals. But there are plenty of other fine places to chow down here, too: Smokin’ Dave’s BBQ also serves up finger-lickin’-good fare, and Lyons Dairy Bar is a must-stop for burgers, fries and ice cream. Slinging coffee and food, The Stone Cup is certainly the most popular place in town, especially when Planet Bluegrass festivals are in full swing. In the mood for tacos? Head to the new Ax & Oar (axandoarlyons.com). And you’ll want to try the gin with juniper berries picked right in Lyons at Spirit Hound Distillers (spirithounds.com). The whitewater park also features a summer plaza area with a concession stand that doubles as a seasonal ice rink. The rink is designed for standard three-on-three hockey, with an outside lane around the perimeter open for free skating. Picnickers can stay warm year-round next to three gas fire pits or a historic wood-burning fireplace within the ground of the new park. 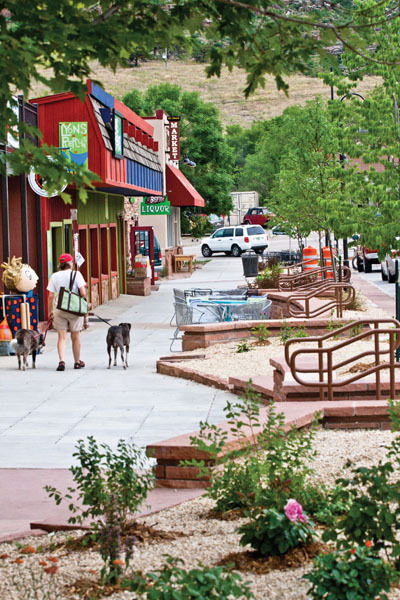 For a town so small, Lyons is a surprisingly big haven of specialty outdoor retail shops. You can find handmade bamboo fly-fishing rods and reels at South Creek Ltd. At Redstone Cyclery, there’s bikes, parts, repairs and local intelligence on mountain, road and ’cross rides on the surrounding singletrack, pavement, jeep roads and hard-to-find routes. Red Fox Outdoor Equipment sells climbing gear, technical apparel and other gear goodies. Then there’s Carve Industries , designers of surfboards, stand-up paddleboards, paddles and longboards made out of renewable wood. Where’s Meeker? That question is a big part of the draw to this real Colorado town near the Flat Tops Trail Scenic Byway. You won’t find much attitude here; you will find plenty of play spots, however, with the White River and boundless wilderness surrounding town. I’m sad that you missed some of the best restaurant opportunities in Lyons. The Fork is fabulous and has a wonderful covered “backyard” patio… try their margaritas and truffle fries. The burger is off the hook. Want pizza? Check out the local’s favorite Pizza Bar 66… great happy hour crowd and try their pizza “roll-up’s” in lieu of regular pizza. PizzaBar is a great place to hang with the locals and watch the game. Grab coffee, bagel or pumpkin bread at the Stone Cup or the Barking Dog… If you’re driving to Rocky Mountain National Park for a picnic, pick up a fantastic sandwich at the St. Vrain Market (who also make incredible baked goods) the market also has the best homemade gazpacho you’ll ever have… and their blondies (OMG) . Speaking of baked goods…. the Button Rock Bakery has gorgeous cakes, cupcakes, cookies, etc etc etc. There is also a new authentic taqueria called MoJo that is opening in a few days. Lyons has so much to offer!!! Another great runner up for consideration would be Moffat County, just north of Meeker. We have over 2 million acres of public land and the mighty Yampa River running right through the heart of it all. Come and check out Craig, America and Dinosaur National Monument!